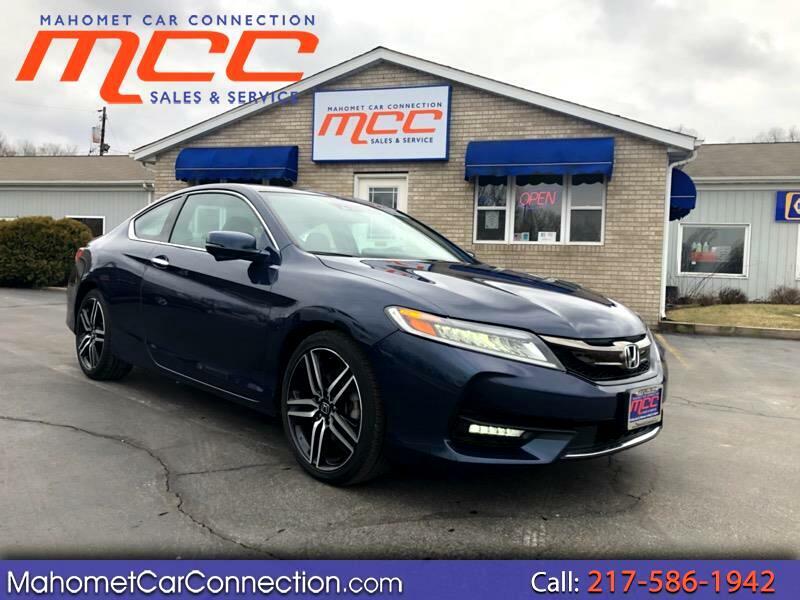 Come Take a test drive in this 278 HP 2016 Honda Accord Touring!! Only 43k miles!! LOADED with every option available!! Equipped with the 3.5L V6 engine that still gets a astonishing 21 MPG city/ 34MPG highway!! Touring model includes heated leather seats, navigation, 19 inch alloy wheels, LED headlights, power sun roof, power driver seat, and keyless ignition. Safety features include four wheel anti-lock brakes, side curtain airbags, front and rear parking sensors, back up camera, Hondas lane watch, adaptive cruise control, lane keep assist, frontal collision warning, and a five star crash test rating.